Today is Darwin Day – also his birthday. It’s been celebrated since his death on 19.4.1882. The memorial celebrations were kept pretty much a family affair until his wife – Emma, died in 1896. In 1909 a load of scientists and upper crust from some 167 countries all over the world got together in Cambridge, GB to honour and dispute Darwin’s contributions. 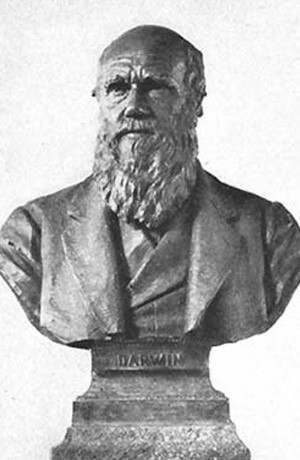 From then the 12th February 1909 saw the 100th anniversary of Darwin, and also the 50th anniversary of Darwin’s ‘The Origins Of The Species’, which was by now – since its first publishing in 1859, being raved about by the New York Academy of Sciences and the American Museum of Natural History. Although Creationists don’t recognise biological evolution as such – Darwin’s findings remain generally undisputed by scientists, who continue to explore our ever-changing animal world. Here Pearl Jam puts it succinctly with ‘Do The Evolution‘ from the album ‘Yield‘ (1998) – later their Greatest Hits (2004).